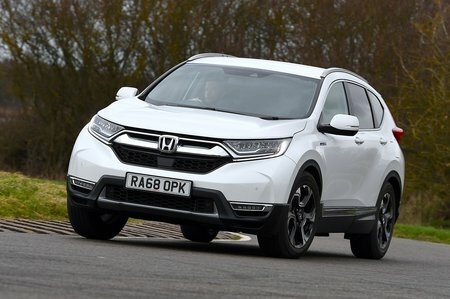 Honda CR-V Boot Space, Size, Seats | What Car? We have few complaints here. Extend the front seats all the way back and only a lofty soul will struggle with leg room, and there's absolutely loads of head room. Even models fitted with the panoramic sunroof won't put you at risk of smearing hair gel on its glass underside. By comparison, fit a 5008 with a panoramic roof and the head room is greatly compromised. The interior is suitably wide as well, with a decent-sized centre armrest between driver and passenger. Underneath that is a vast cubby with a slidable tray; this offers various storage options, including enough space for a laptop if you remove the tray entirely. On the downside, the door bins are a little narrow and the glovebox isn’t huge. 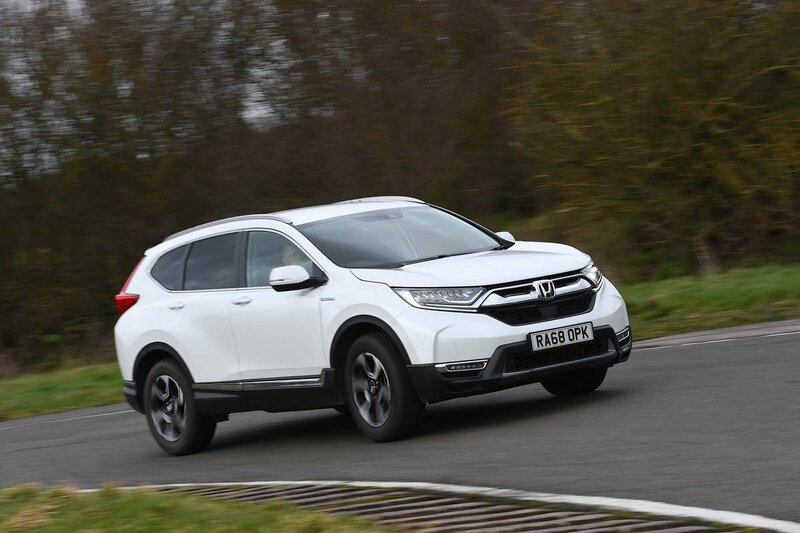 Were we solely reviewing the five-seat CR-V, this would be a five-star section. First of all, the wide-opening doors and low sills give great access, and it’s massive inside with head and leg room to match the very best in the class and loads of foot space under the front seats. It’s also good for three across the rear bench, thanks to the wide interior and an insignificant central tunnel that gives the middle passenger no obstacle to straddle. As for the two fold-out seats in the third row, they are tiny and only really fit for small kids and short journeys. You can just about fit adults in the rearmost seats of a 5008, but the Kia Sorento is the best car in this class if you want a truly spacious seven-seater. If you want front passenger seat height or lumbar adjustment you need to upgrade to mid-spec SR trim, and no CR-V offers a fold-flat front seat — to grant you the room to load super-long items from the dashboard to the edge of the tailgate — like the 5008 does. 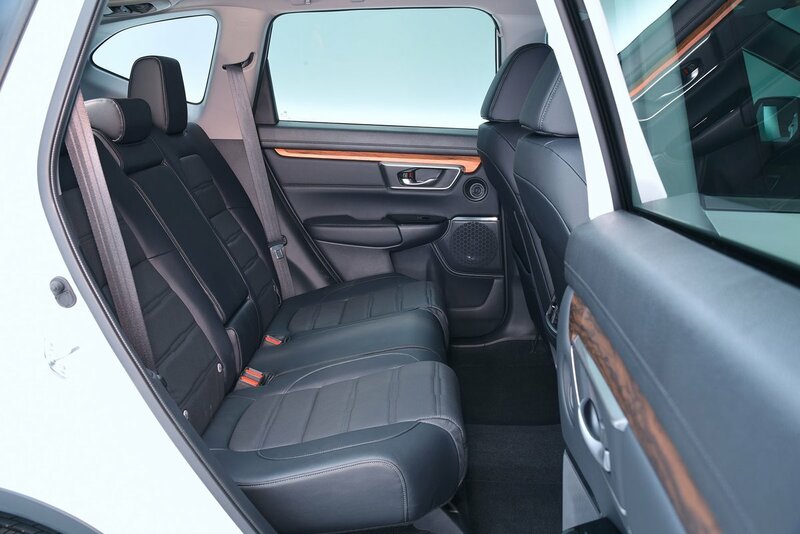 The rear seats split 60/40, rather than the more useful 40/20/40 arrangement that you get in a 5008 or Volkswagen Tiguan Allspace, and sliding, reclining rear seats are available only with seven-seat models. Again, this depends on whether you have the five or seven-seat model. Five-seaters have a decent, if not class-leading, boot – look at the Sorento if you need a truly colossal load-lugger – but, at 561 litres, it’s competitive with a Tiguan Allspace or Skoda Kodiaq. It’ll certainly accommodate large buggies with ease or, as we've found out, up to nine carry-on suitcases: the same number as a Citroën C5 Aircross. You also get a variable-height boot floor, which gives you a really tall boot in its lowest setting. Use its upper setting to create an underfloor compartment while bringing the floor flush with the tailgate opening, to make it easier to slide in heavy items. When you fold down the rear seats (using the convenient handles on the sides of the boot) they leave a step in the floor; raising the boot floor also removes this to leave a completely flat extended load area. Seven-seat versions are less cleverly configured. Honda has essentially bolted the two rearmost seats to the boot floor rather than integrating them into it properly like most rivals do. This means the boot size is reduced considerably and the floor is stepped, even before you fold down the middle seats. The now-tiny adjustable floor can be raised to remove this, but that still leaves a gap between the edge of the floor and the seats which is just big enough for your dog’s paw to slip into.